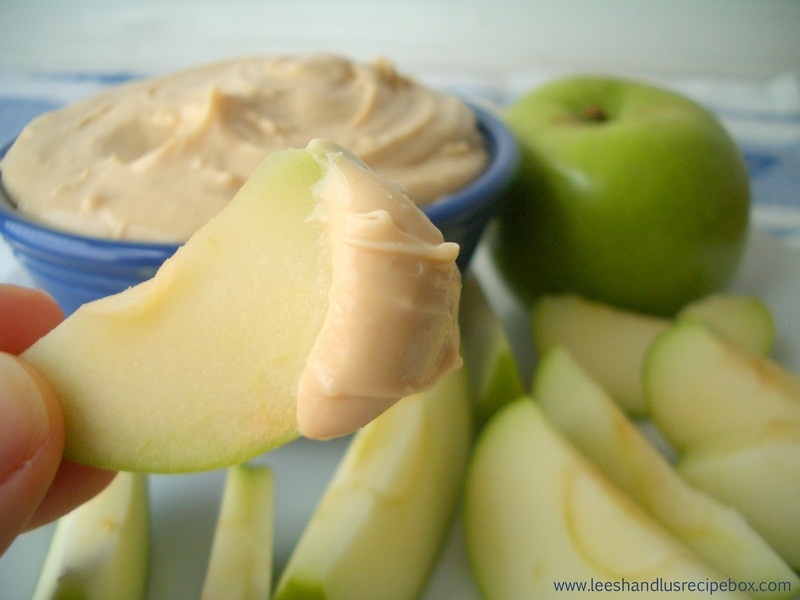 If you like apples you need this dip in your life. It is creamy and dreamy and the perfect snack any time of the year. It couldn't be simpler to make either. My 3-year-old loves to make this. He dips his apples in it, but ends up eating it with a spoon most of the time. It takes only 4 ingredients and you probably already have them on hand. I made this last year and we used it to sample lots of different varieties of apples. Turns out that Honeycrisp apples are our favorites with Gala and Pink Lady tying for second. 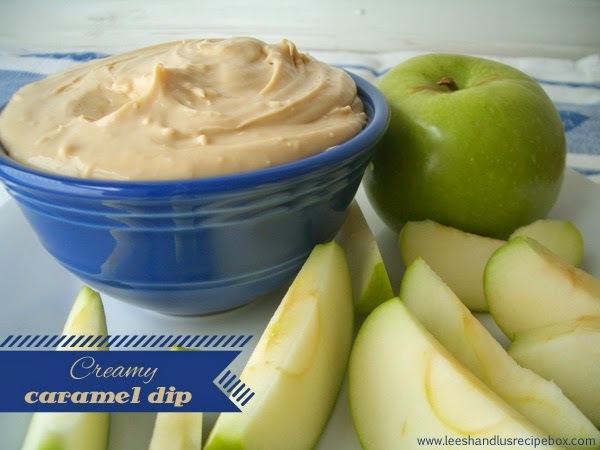 I also like a good Granny Smith apple--especially when it's paired with a sweet caramel dip. I'm not sure why Red Delicious apples even exist--not to mention the fact that they are so widely available. I've never had a delicious one and the texture is weird to me. Maybe I'm just weird. What is your favorite variety of apple to munch on? Stir ingredients together until well combined. Refrigerate until ready to serve. Serve with sliced apples or any other fruit.